← My cat is an insomniac and so am I……..
How pretty is this and oh so super easy to make yourself…..read on!! 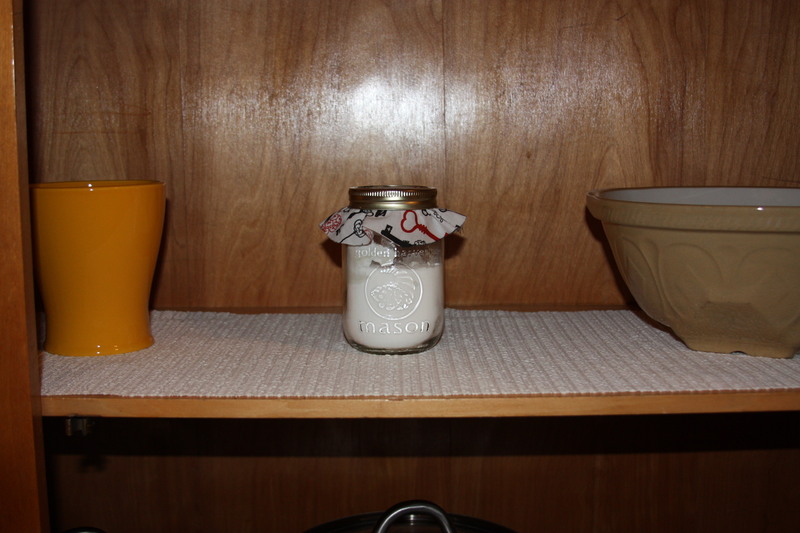 This was my favorite project from the blogs I was following last week, it is from LivingChicontheCheap.com. 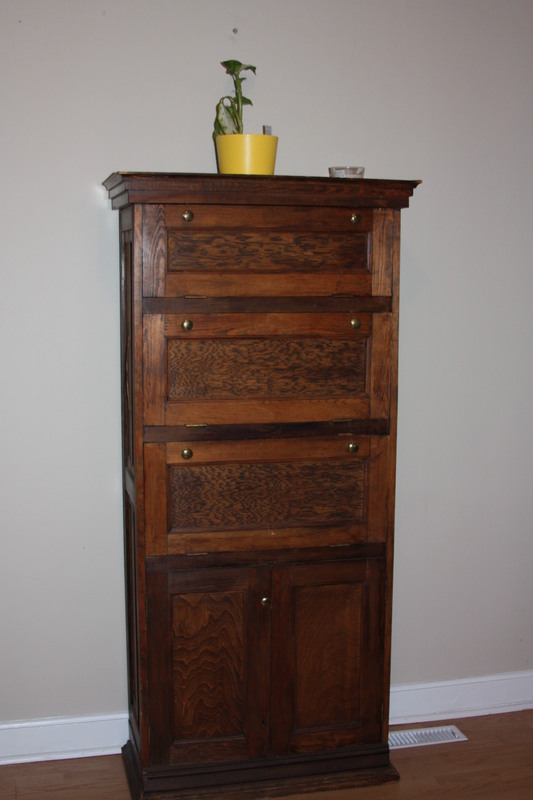 This first one was used as a TV / entertainment centre by the previous owner and it was stored in a garage until I gave it a new home. 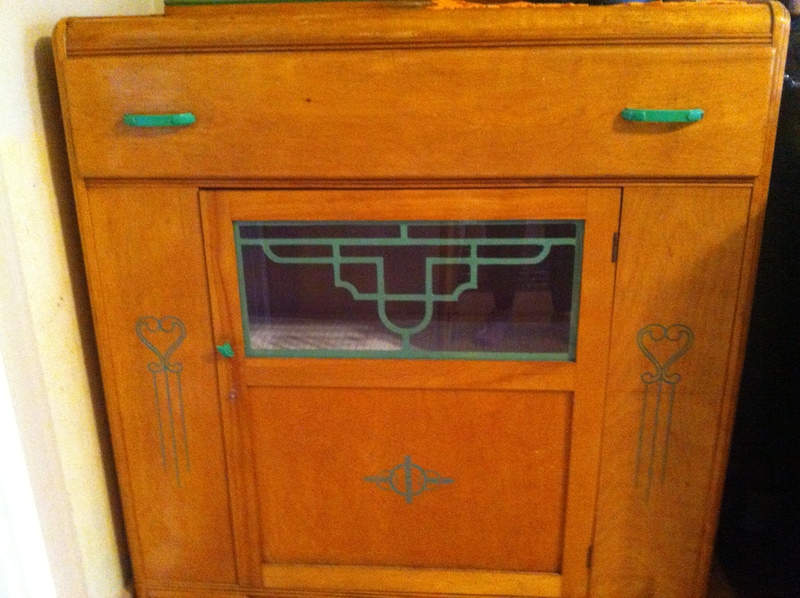 This one was also stored in a garage until it came to live with me. They were both given a good scrub down when I took them home but yet they still had a musty smell. These Super Easy Hand Made Air Fresheners are just what I needed to help eliminate the musty smell (at least til I get them painted or refinished)!!! 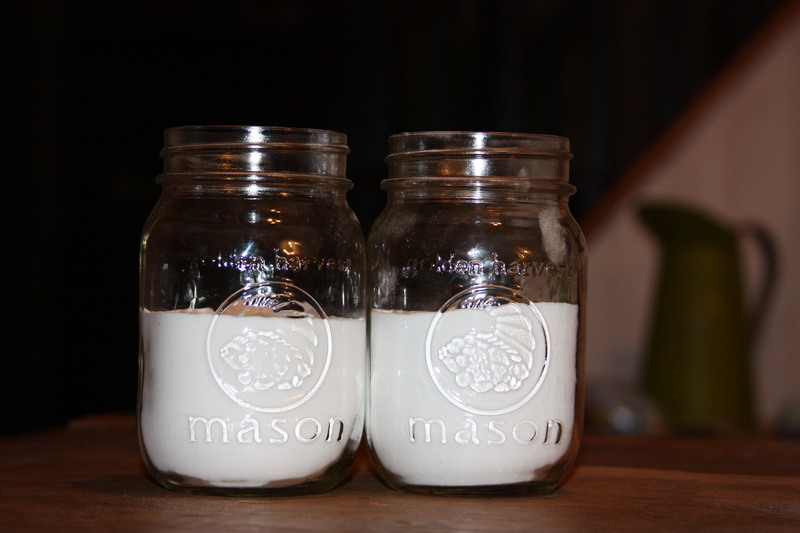 I already had the materials I needed on hand – two mason jars(any size), baking soda, essential oil or fragrance oil and a piece of fabric. 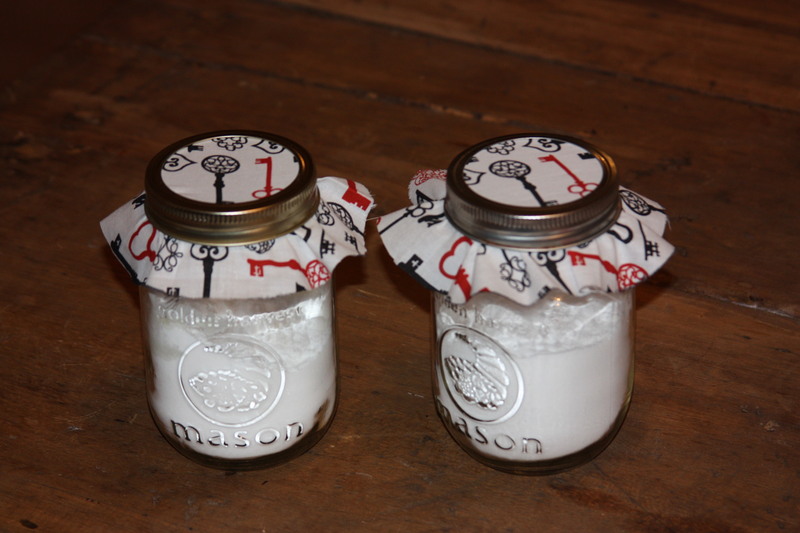 Place the fabric over the jar and screw the lid onto the jar. 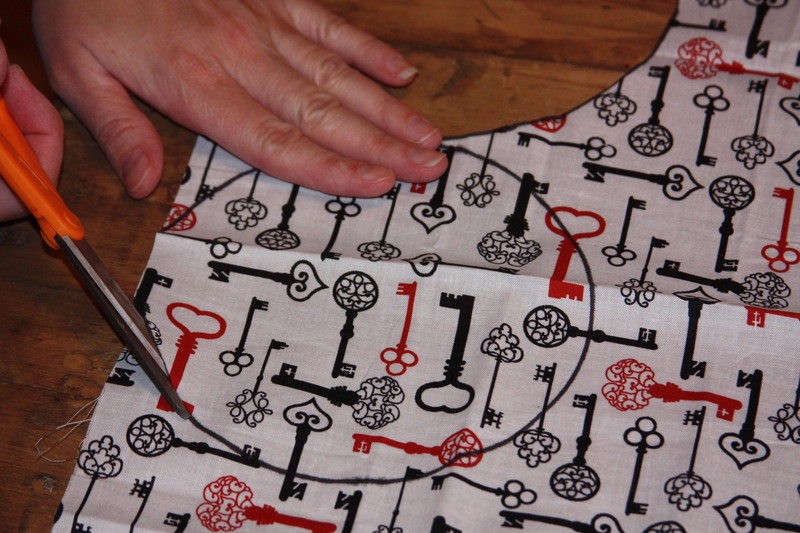 Using a sewing needle, carefully poke several holes it the fabric. 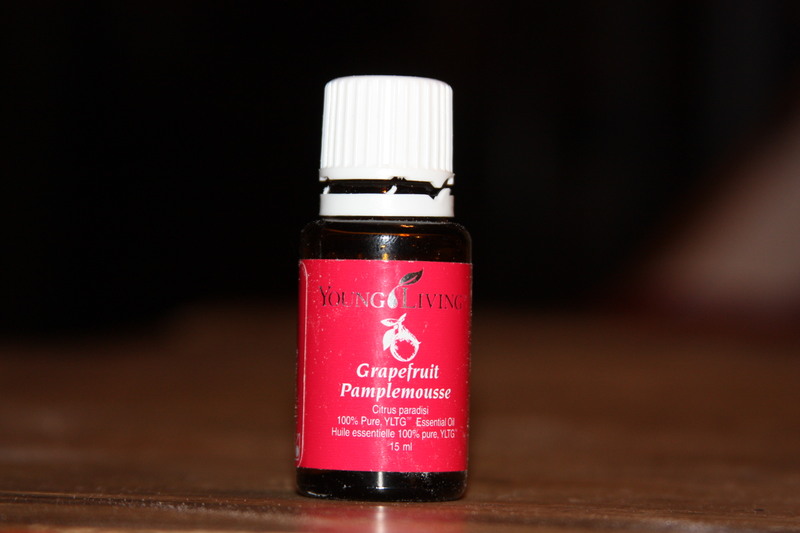 Shake the jar every few days to refresh the scent and add more oil as needed. 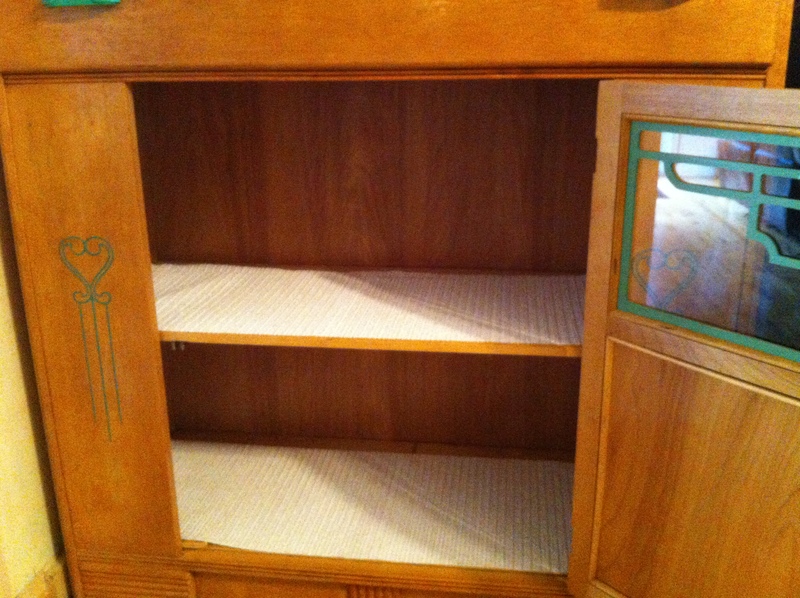 This is the inside of my cabinet, it only took about a day for the musty smell to disappear. They look good and smell great too, ah yes I think it is A Wandaful Thing! 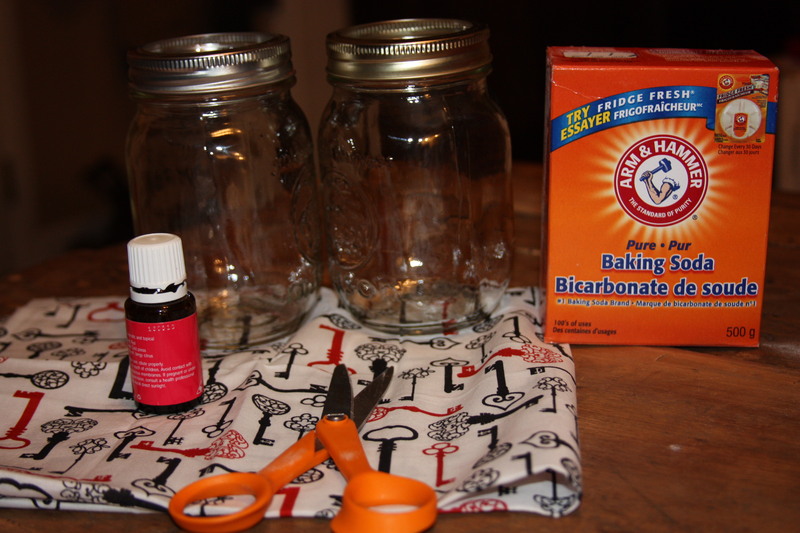 This entry was posted in DIY and tagged air freshener, baking soda, cabinet, Crafts, DIY, easy, essential oil, fabric, gift, grapefruit, mason jar, My Favorite Blogs, neighbor, scissors. Bookmark the permalink.